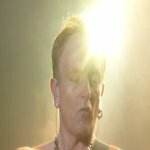 Def Leppard guitarist Phil Collen was interviewed by Eddie Trunk last week and a highlights transcript is available. Phil talked about the band touring and recording in 2014 and the possible 2015 album release. Phil talked about being in the band for 30 years, the VIVA! Hysteria residency, real live backing vocals, Vivian's health, 2014 live shows, the VIVA! Pyromania residency, 2014 Def Leppard recording plans, Manraze recording in January 2014/third album, the Delta Deep blues album, Gary Moore, Manraze's history, his hand injury, his Thanksgiving meal and health and fitness. The interview was first aired on 29th November (US Only). "We've been getting offers in - it's kind of weird you never know if you can do it. You know different countries and stuff and summer tours and what have you. Another residency at some point doing VIVA! Pyromania which will be really cool. We're not sure when that'll be." "We are going in the studio. It's actually gonna be 1st February we're actually going to Dublin. To Joe's house and we're just gonna - I've got some great ideas for new songs cause we haven't had an album out in so long. And everyone's been you know stockpiling. It's like a band with our first album really it's been a few years so we've got all these great ideas. I'm really, really excited about it. So I don't know whether it'll be an album or the odd song or what but actually - that's the idea we're just gonna go in and record songs. So it'll be new Def Leppard music for sure. And you know I would imagine it would be 2015 unless you know we put some of these out. On a TV show or a movie or something like that so yeah never really know but it's wide open. And actually we're gonna do some new Manraze music as well in January so it's yeah busy, Busy, busy."